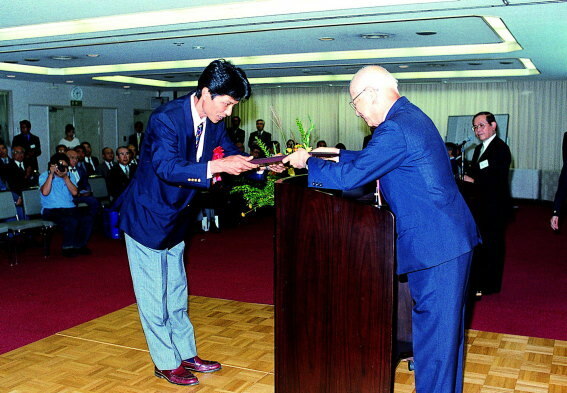 The 2002 FAI Alphonse Penaud Diploma was awarded to Mr. Kazuyuki Sensui. At the age of 20,Kazuyuki Sensui fast participated in the 1989 F3C Aeromodelling World Championships and became the World Champion that year. He won the F3C Japanese National Championships for five consecutive years between 1997 and 2001. He has contributed to the improvement of radio-controlled helicopter machines and education of young fliers.